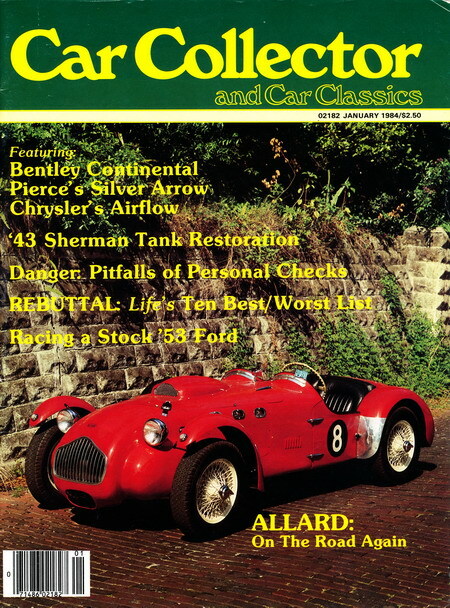 This issue of "Car Collector and Car Classics" magazine was published in January of 1984 and features two stories on Allards. The first story is about the J2X, using photos of the cover car. The second story is about the Palm Beach MkI, but unfortunately all of their photos are of a K3! To the untrained eye, it's an easy mistake to make, but an error like that shouldn't have made it past the Editors desk. MYSTERY CAR: If you, or you know who owns this J2X, please click here to email us! Another J2X, Back on the Road!